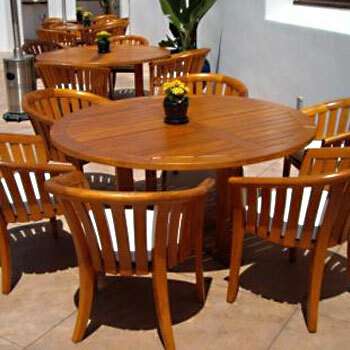 Outdoor teak furniture can become grey and dull over the years. 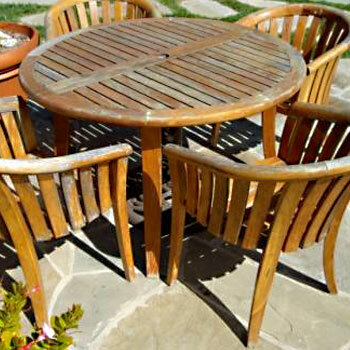 Weber can restore the color and patina of the teak to the beauty it had when it was new. Through a five step process of washing, sanding, bleaching, restoring and sealing the pieces can be made to look like they had been just delivered—ready for another summer’s enjoyment.